1. She looks emotionless and only be happy when Zuko comes. 2. Her eyes are not beautiful and sometimes scares me.. and I don't know why it scares me! Honestly I didn't look at it before but those reasons to hate a characters are among some of the stupidest reasons. Hard choice... but if any of the main characters.. Suki. 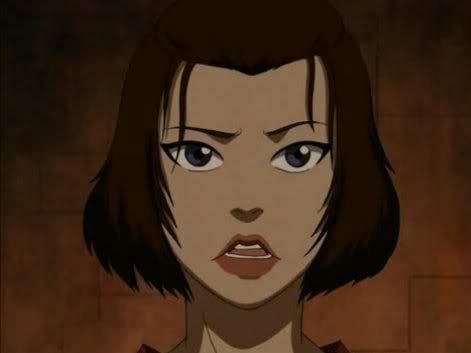 I like her okay in some scenes, one being when she saved Toph. But for the most part she really gets on my nerves. -I found her feminist attitude really, really forceful- I'm all for women's rights, but I don't like it when people are absolute jerks about it. -She's cheesy; "oh Sokka, I knew you'd come." What happened to that strong non-needy feminism? -Her Mary Sue-ness. She's displayed as nearly perfect with no mentioned flaws; perfect fighting skills, perfect with others, etc. etc. -Her lack of real purpose. I know she's the leader of the Kyoshi Warriors and Sokka's l’amour interest- but that's about it. There just wasn't much there for her. It's just not enough for me. That's all I can think of. She just bugs me, a lot. While I don't hate her, I have a difficult time liking her. haha now tht u say it she is kind of corny! What? Are toi kidding? I don't hate anybody from avatar. 1. She always comes up with how her mom died in the feu nation. I understand the pain she's feeling about losing her mom,but just get over it! Atleast toi have your dad and your brother AND your friends! Your lucky your not like Naruto Uzumaki! 2. She went with Jet instead of going along with Sokka about Jet being an intruder. 3. She is so rude to Toph and like Toph said,she is MOTHERLY! i dislike katara too, and she's also my least favori from the gAang. is that why your name is evan l’amour azula? - Kill Joy, she ruined Toph's fun in 'the chase' and in (i believe it was) 'the runaway'. - She almost got Toph to leave team Avatar. - Bossy, she's always trying to be 'the mom' of team avatar. - Feel sorry for pretty much everyone but chains a 14 an old girl to the ground and watches her cry. I can see her not wanting to help Azula while she was breathing fire, but afterwards she could've been plus comforting, she comforted Zuko (the one trying to kill her for the past season) in crossroads of destiny. 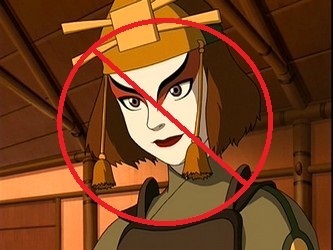 So why Not Azula? -Jealous type, in The Promise she kept getting irritated with Aang's fangirls for small things. those r some good arguments. Hiding 18 comments... click to show. I can sort of see where you're coming from. But I think that she does care. Lemme get this straight, toi hate a certain character because of something that was SOMEONE ELSE'S fault, and the other reason being completely irrelevant, and not to mention SHALLOW! Anyways, for reasons that should be obvious, I hate Ozai the most. For being a wimp and a sucky bad guy. I hate Jet. But, I Don't Like His death. 2.She only cares about herself. I don't Agree with anything U Just said. 1. She is cruel she enjoys the pain of others but hers. 2. She is the defintion of evil. It's spelt Azula. I don't think she's evil, just misguided and misunderstood. She was raised par a bad person and just needs someone to help teach her right from wrong. She just needs love. IT'S OZAI WHO toi SHOULD BE HATING BECAUSE HE MADE HER THAT TYPE OF PERSON. ANYWAYS UR REASONS TO HATE HER ARE MY MAIN REASONS TO l’amour HER. I have to say Jet. I hate Jet. He used Aang and Katra. Sokka was right about him. -She's a Mary-Sue. She gets whatever she wants all the time. -Things always turn out perfect for her. Like when Sokka came to her rescue. -Her personality changes a lot. One minute toi see her fighting like a Rebelle warrior should. The suivant minute toi see her jouer la comédie all girly and sweet. -She's always showing-off when Sokka's around like the time when she she ran past the prisnors and fought Ty lee and got the warden. She could have done that anytime. No only infront of Sokka. I pretty much l’amour all of the characters, but a few kind of annoy me. Ty Lee- She's really peppy and that annoys me. I guess a character like her was needed, but it still annoyed me. Zuko- he's Zuko. 'nuff said. 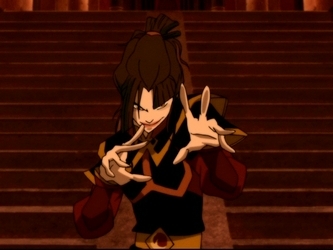 Azula- her insanity makes her an interesting character. I loved how they developed her and stuff. She was really interesting and I wanted to know what happened with her. 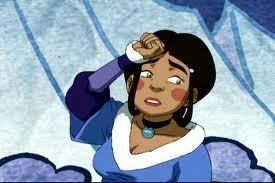 I cared plus about her than I did about Katara. Toph- I l’amour the toughness of the character. She is a very different type of girl than Katara. That was actually one of my favori things about this show, the fact that they could combine so many different personalities and types of people together and still make a coherent story. Sokka- "The meat and sarcasm guy" He's just halarious. We have pretty much the same liste lol. 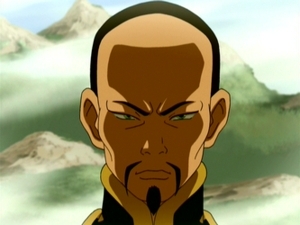 Ozai; out of all the characters on the show, he is the only one truly evil, truly unrepentant and nonredeemable. Katara just for the fact that she thinks she has it worse than anybody else. She brings up the fact that she Lost her mom way too much. No matter what someone else is going through, she says that like its the worst thing of all. There are people who have Lost way plus than her, some even Lost everything, and they don't try to make every single person they meet feel sorry for them. I understand bringing it up, but her attitude towards it and how she wouldn't shut up about it easily makes her the character I can't stand the most. That very first sentence is precisely why I find it difficult to like her. Erm... Hmm... Ozai, I think. Yeah she's definitely batshit crazy but I feel bad for her. Her father completely broke her and I don't even think she realizes it. But I don't think she blames Iroh for anything; she mostly puts it on her mother and sometimes Zuko. Ozai is the one who blames Iroh. I'm on the fence with her losing her friends; in a way I feel like it was deserved but she is also a very lonely person--I think she needs someone who can l’amour her and I mean real love, not what Ozai was doing. Basically I think she needs Friends who can handle her like her new Kemurikage friends. Though I don't like to count the other two out completely. As for point four; I think this is one of the reasons she's so sympathetic. She accepts Ozai. That's what hurts her the most and keeps her from being good--he's an awful influence. And the worst part is, for a while she really had no one else so of course she accepted the dude. And because she accepted him she got plus lonely and messed up and it was a vicious cycle. I also think there's hope for redemption for her, the same as it was with Zuko. I feel as though in the récent comics she has actually taken the first step. And as for her hair I think she's still pretty lol. Hope toi don't mind my long(ish) comment. No hate intended here, just wanted to drop an opinion. 1. He Betrayed His Uncle.Joining Azula. 3. He Believed Azula when she a dit His Father Accepts him back. 4. He Called His Uncle A Crazy Old Man 2 Times. 5. He Disrespects Iroh's l’amour For Tea. 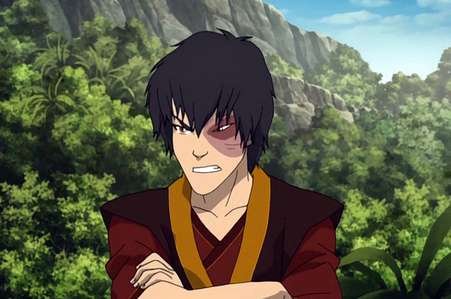 I Know Zuko Did some good Things. Like Saving Aang. Actually Giving Katara's collier Back. But, That doesn't mean he didn't Do Bad things. I take it Iroh is your favori character lol? Yeah he's a cool character. I don't know many people who don't like him. Same. 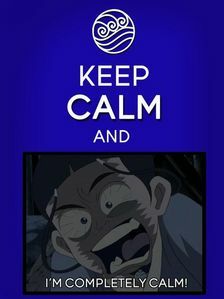 I Don't really Know Iroh Haters. But, Haters are Going too hate. There aren't many of them.